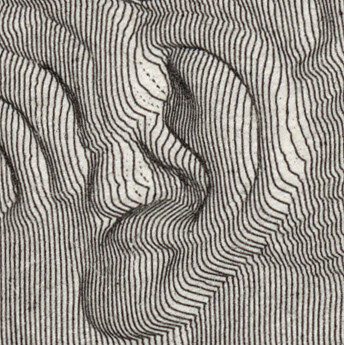 This print may be of a low monitory value, but it is of great value to those interested in rarely seen technical processes. 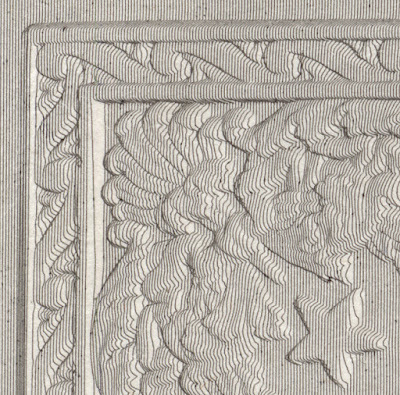 This print has been executed using a pantograph (a mechanical device usually employed to copy images) to trace the contours of a low relief sculpture in a matrix of vertical lines. If anyone is interested in acquiring this extraordinary print, I am offering it for AU$25 (currently US$18/EUR17.13/GBP14.58 at the time of this listing) in combination with the sale of other print(s). 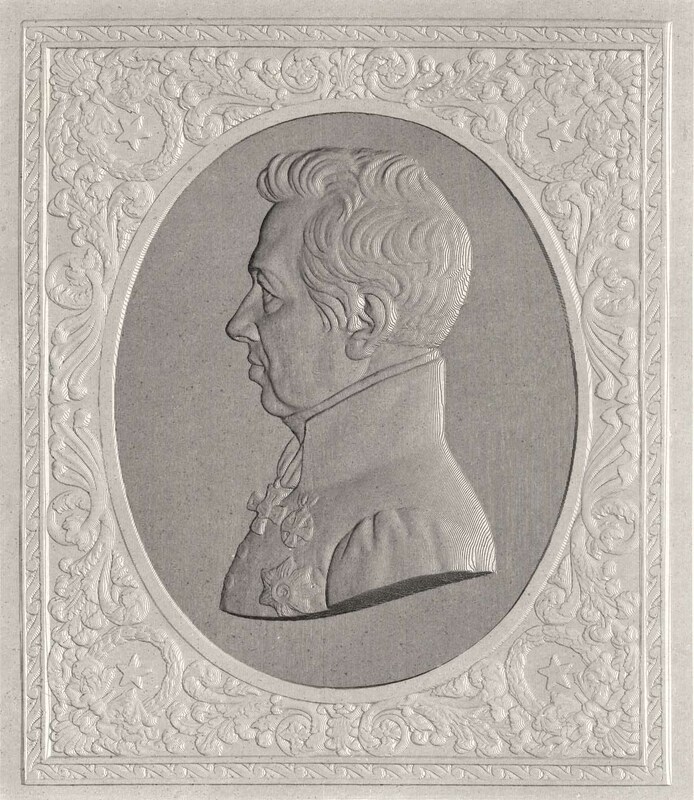 This is far from being an important engraving even though the subject portrayed, Ignaz Graf von Hardegg (1772–1848), is a famous Austrian cavalry general and a skilled commander during the Napoleonic Wars. 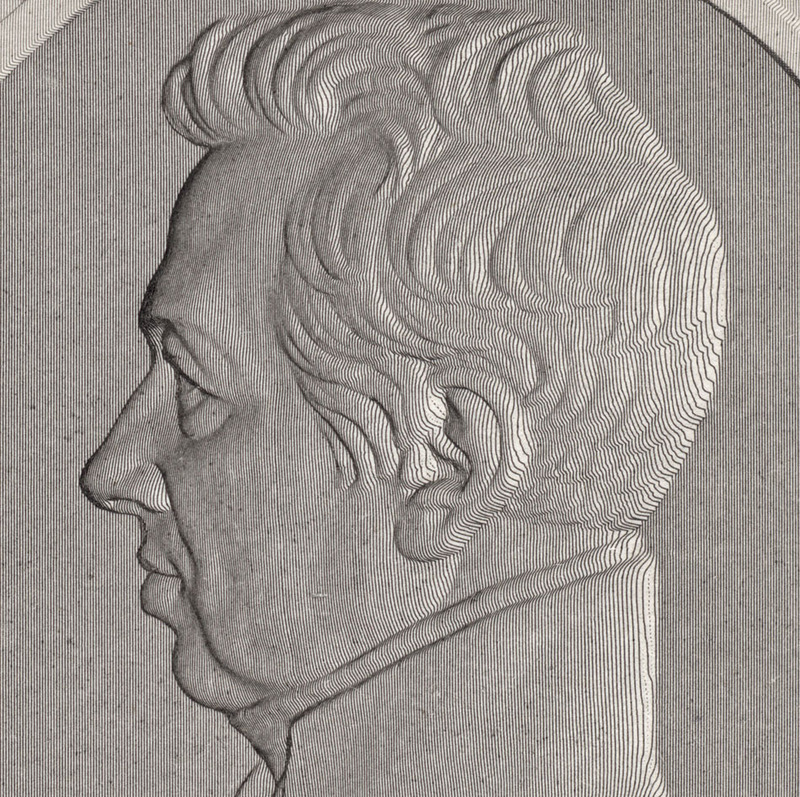 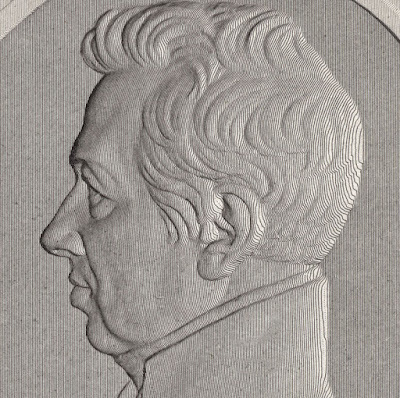 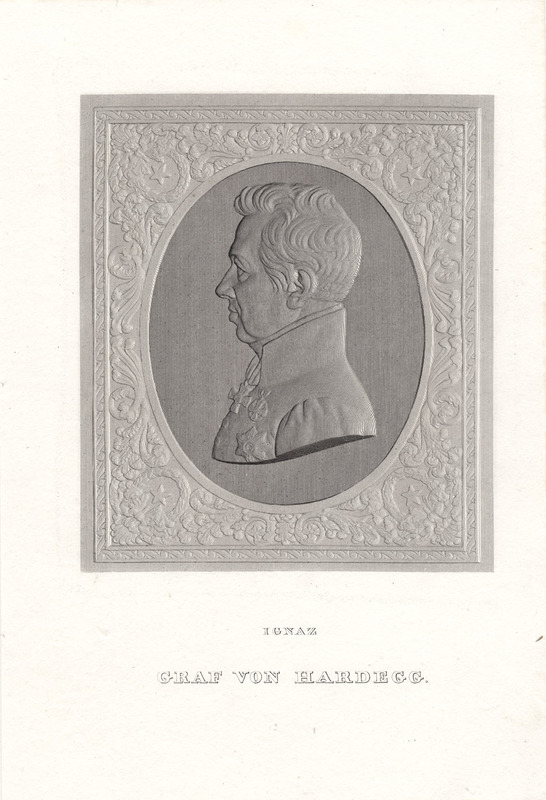 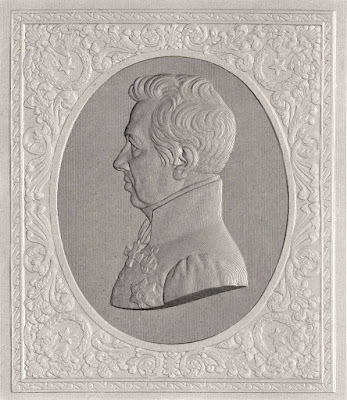 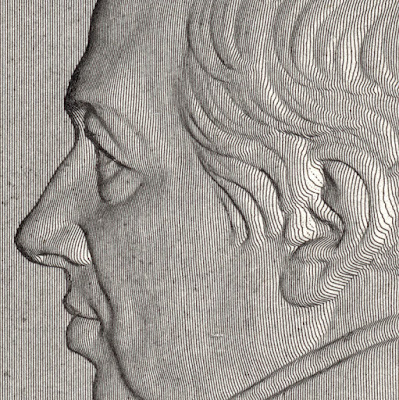 The attribute that sets it apart from the plethora of other engraved portraits from the 19th century is the technique used to reproduce the low relief sculpture of the general. 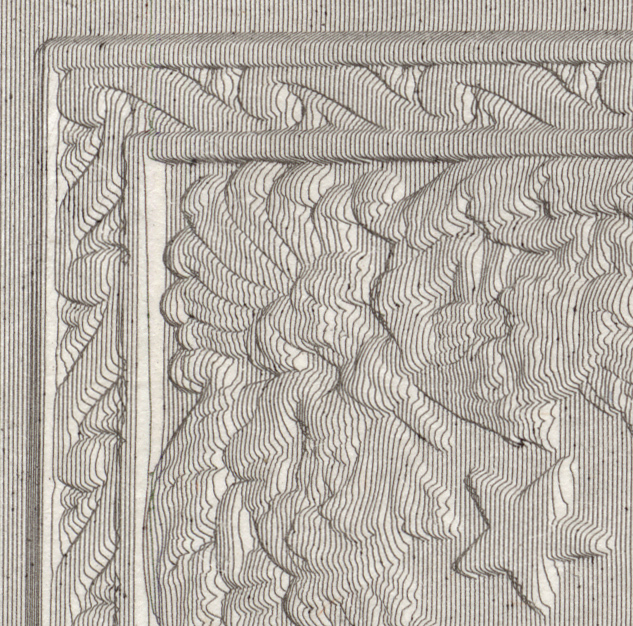 At first glance from a distance, the engraved line work of the print merges beautifully together to reveal the subtle modelling of the sculpture. 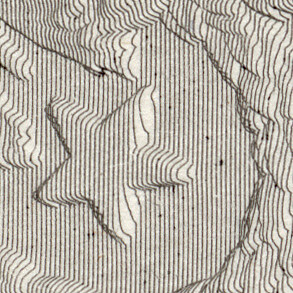 Closer examination—close enough to use a jeweller’s loupe—the detail of the line work reveals the extraordinary technique used. 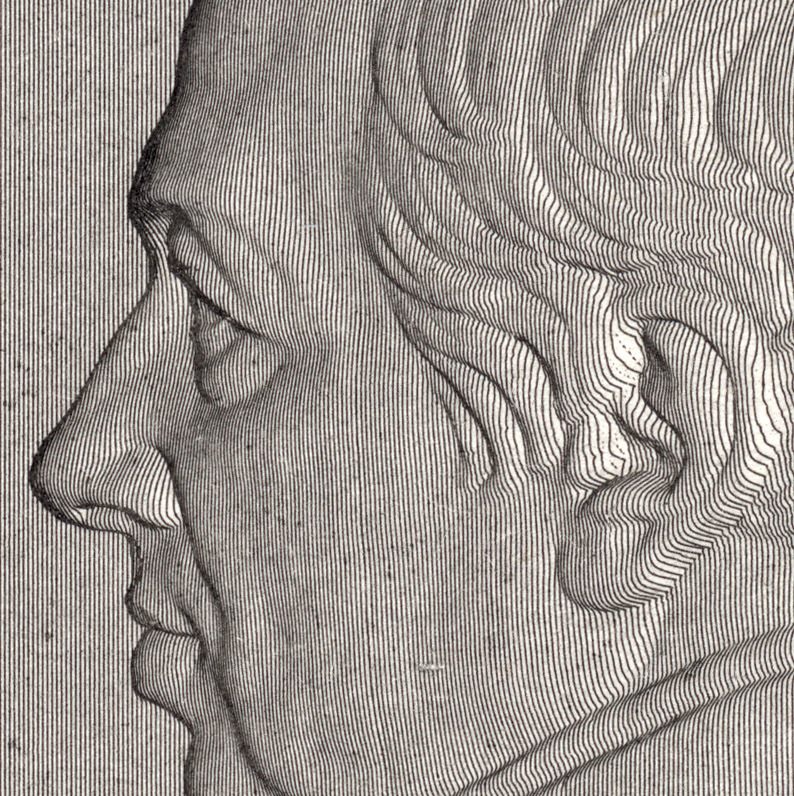 Essentially the whole image consists of finely laid vertical lines where slight curves within each line captures the contours of the original sculpture.